FITNESS SHOULD BE fun. If you aren’t enjoying training or working out, you’re doing it wrong. You might be training at the wrong gym (i.e. Not SMART Training), or working with the wrong personal trainer or doing the wrong type of exercise for your goals. Whether you hit the gym with the resolve and determination of Rocky or take a leisurely stroll on the seafront with the dog, movement and being active should be enjoyable. Don’t listen to the naysayers who say fitness is boring. Those people have just yet to find their niche. Most people can manage to walk, jog or run a 5k and with free 5k park runs popping up across the country, they are a great way to spend an hour of your weekend. Check out our top Summer 2018 fun runs that are taking place across the country to get you active and keep you moving. These races are not about winning but about the experience, the comradeship and the sheer craic of getting out and doing something more than just pounding the pavement. The focus of the Super Milk Wild Air Run is squarely on fun so participants are not timed during the race. Tickets prices range between €15.00 and €32.00. Participants must be 7 years old or over to enter. Obstacles include the Maze Runner, the Leap Frog and the Pinball! Venues in Dublin include Malahide Castle (7th July) and Marley Park (11th August). Other venues include Fota House in Cork (14th July) and the Galway Racecourse (18th August). 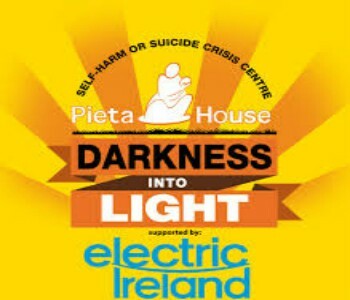 The Pieta House Darkness into Light event takes place on May 12th at 4.15am. It started with approximately 400 people in the now iconic yellow DIL T-shirts walking the 5km course in Dublin’s Phoenix Park in 2009. This year, there are 180 DIL venues across Ireland and worldwide. Pieta House offers free counselling to those suffering from suicidal ideation, those who have been bereaved by suicide and people who are engaging in self-harm. It’s an event for runners and walkers alike and cost approximately €25 to register depending on the venue. The event will take approximately 25 minutes for runners to complete the circuit and approximately an hour for walkers. 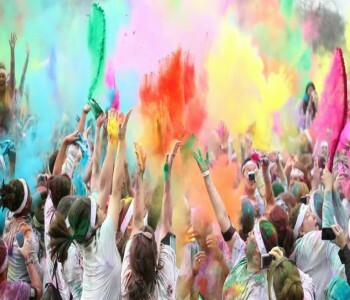 The Irish Cancer Society Colour Dash is certainly the most colourful run in Ireland. 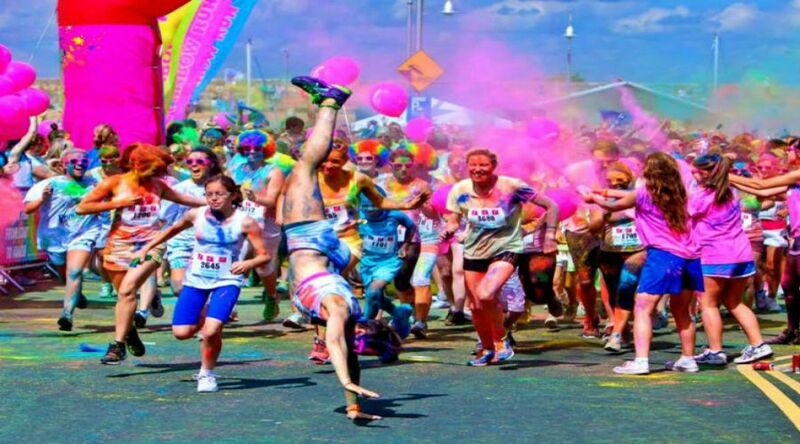 This run, which is a fundraising effort by the Irish Cancer Society, welcomes participants of all ages and abilities and involves being doused from head to toe with coloured powder paint while participants run, jog, or walk the 5k route. The Colour Dash takes place in four different locations (Limerick, Cork & Galway) across the country but visits the Phoenix Park on the 17 June. Tickets are priced at €30 per person and children under 12 are €5, once accompanied by an adult. More information can be found here. 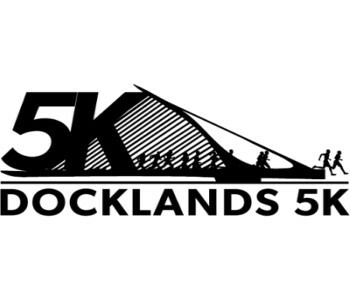 Looking for something active to do with your work colleagues, try the Dockland’s 5k. This race is run by the Crusaders Athletic club so it is legitimately a race run for runners by runners. Entry is open to all business teams of three as well as individuals. Team categories include male only teams, female only teams and mixed teams. The race takes place on Thursday 28th June at 7.30pm on the South Docks at Lime Street. The entry fee is €20 per person and a technical running t-shirt is included in the entry fee. More information can be found here. 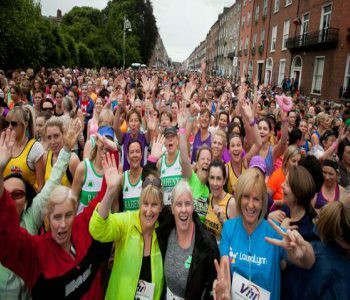 The VHI Women’s Mini Marathon is the largest all women’s event of it kind in the world. It’s a 10k charity road race which takes place each June Bank Holiday weekend in Dublin. This year it will take place on Sunday 3rd June at 2.30pm. Entry closes on the 18th of May or when a maximum number of entries have been reached. The entry fee is €23. The participants themselves decide which charities they would like to support and many local charities receive vital funds from the fundraising missions of the participants. Last year an estimated €9.3million was raised on the day for charities accross the country. We offer a 30 Day Kick Start programme in our Churchtown based gym. We offer both Personal Training and Group Training programmes. 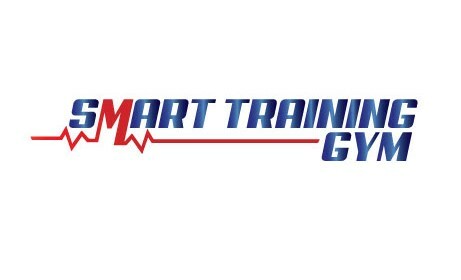 During the 30 days, you’ll learn what you need to know to continue on your own path following the 30 days, or you can always sign up for 1-on-1 Training or Semi Private Training or even Group Training at SMART Training to continue working with a personal trainer.